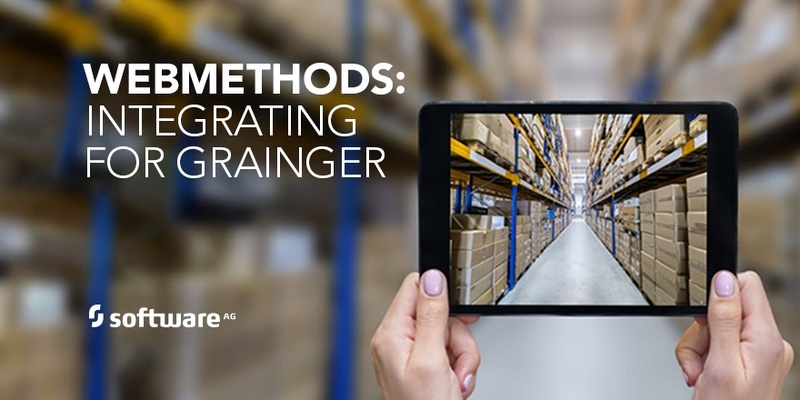 Software AG will showcase one of its most innovative customers – Grainger – along with its webMethods Integration platform at Gartner’s Application Strategies and Solutions Summit in Las Vegas next week. Several different tracks at the summit will focus on the many aspects of applications and digital transformation. We will be featured in Track C: Integration: Connecting the Dots Across and Beyond the Enterprise. I am excited to announce that in this track on Wednesday at 3:45pm I will introduce Mike Vega, Senior Manager, e-commerce Engineering for Grainger. Grainger is a leading supplier of industrial products for manufacturing and healthcare with online, mobile & branch sales channels. Mike will share with the audience how Software AG’s webMethods Integration platform helps his company focus on integration to leverage reusable patterns. This reduces complexity, shrinks timelines and quickly integrates with SaaS applications and APIs in a vendor neutral way. Single solution for B2B Integration and MFT with tighter integration between webMethods Trading Networks and Active Transfer. webMethods 9.12 includes the first release of the unified webMethods API Gateway, combining the mediation and security capabilities from webMethods Enterprise Gateway and webMethods Mediator as a single, easily installable and configurable product. You can see it live at the summit. Market dynamics are forcing enterprises to rethink integration to minimize changes across systems and deliver change and new business models faster. We are proud to be a premier sponsor at the premier summit on applications strategies and solutions.